Hurricane Irma made landfall in Barbuda on Wednesday morning, September 6th, as a Category 5 hurricane. With winds of over 185 miles per hour and a storm circumference larger than the size of Ohio, Hurricane Irma became the most powerful hurricane to form in the Atlantic Ocean since satellite observation began. 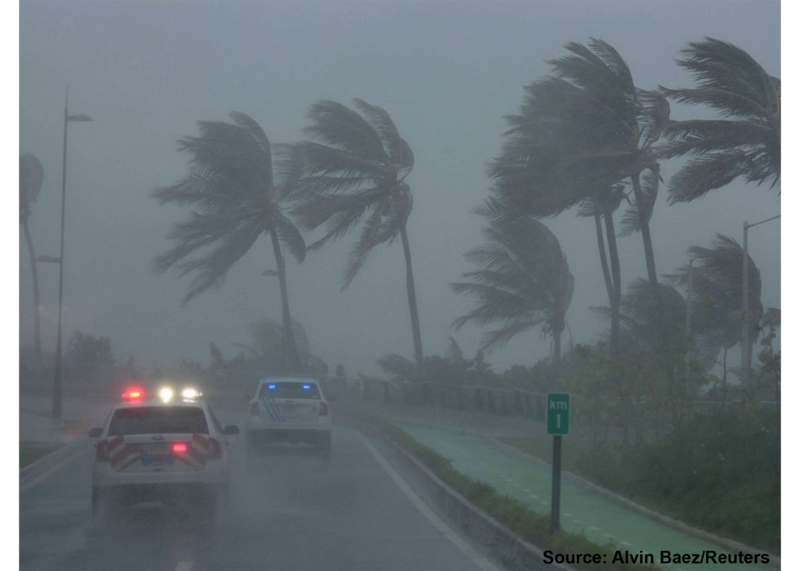 As of Saturday morning, life-threatening conditions have hit Barbuda and Antigua, Anguilla, St. Martin, St. Marteen, Puerto Rico, the Dominican Republic, St. Kitts and Nevis, US Virgin Islands, British Virgin Islands, Haiti, Turks and Caicos, the Bahamans, and Cuba. Over twenty-five people have been killed, with almost the entirety of Florida now lying in the path of the hurricane. Over six million people in Florida have been affected and the entire state of Georgia has been placed in a state of emergency. Charity Navigator has compiled a list of highly-rated organizations responding in the aftermath of this hurricane and providing assistance to the communities affected. Donors can designate their donations to the cause on the organization's website. However, at this point in time, it is not certain that all of these organizations will spend 100% of donations received on Hurricane Irma relief. You can find more information about inclusion on this list by visiting our 'How Can My Charity Be Added To This List?' page. Designated donations made from this page will be applied to charity programs per each charity's designation policies.